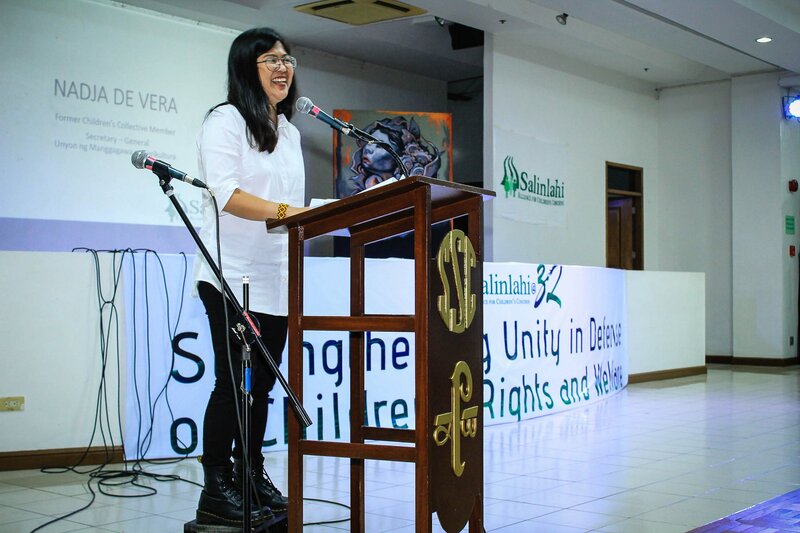 MANILA – For the past 32 years Salinlahi Alliance for Children’s Concerns has been steadfast in defending children’s rights and ensuring that they too participate in the discourse. 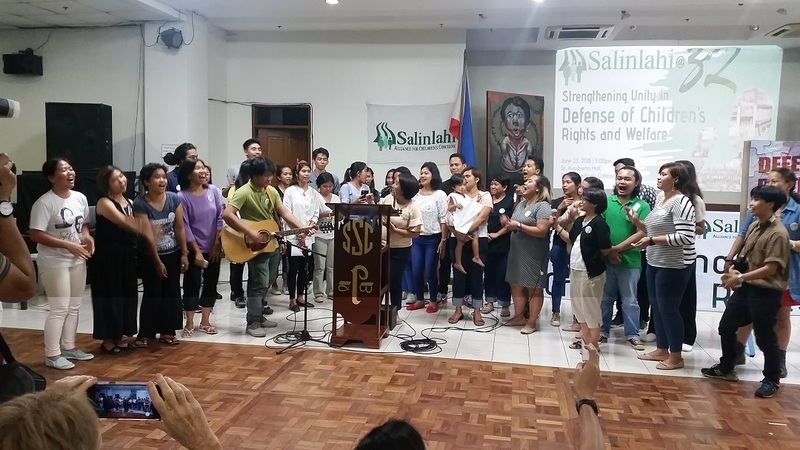 In their commemoration of their 32nd year, child rights advocates, former Salinlahi children and staff and different groups gathered and vowed to strengthen their unity to defend the rights of Filipino children. It was a night of reminiscing, song and dance all participated by children. Their song entitled “Awit ng Salinlahi” (Song of the Generation) talk about children’s capability to change the system, which Salinlahi is advocating. 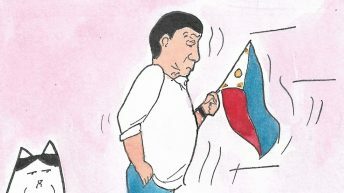 “Bata, bata, tayo’y may magagawa. 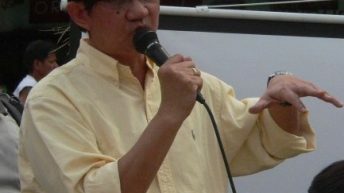 Maghawak hawak ng kamay at sumulong ng sabay sabay. Ating mga munting tinig ay isigaw sa buong daigdig. Karapatan ay ipaglaban, tungo sa tunay na kalayaan. (Child, we can do something. Hand in hand, we move forward together. Let the world hear our little voices. Let’s fight for our rights toward genuine freedom. We must advance toward the change we aspire for, toward justice, against oppression. “Every day they also face the harsh realities in school, in their communities and in society; some children are experiencing their school being bombed or their houses being demolished,” she said. “Why should they not be part of the solution when they are also affected by the problems? 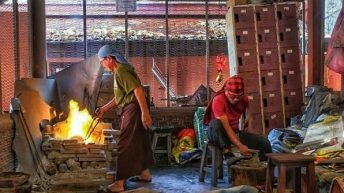 They should also be a part of it even in their young age; they should know that they could do something,” Macaspac told Bulatlat. It was in 1985, still under the regime of the late dictator Ferdinand Marcos, Sr., when child rights advocates and other basic sectors, through an assembly, passed a resolution to form an alliance that focuses on the campaign for children’s concerns. The following year, June 14, 1986, Salinlahi Foundation, Inc. was established. In 1988, Salinlahi held a children’s solidarity festival where member organizations and their children gathered and presented their situation through cultural performances. From then on, the children’s solidarity festival are being held every year. Salinlahi Foundation later became Salinlahi Alliance for Children’s Concerns in April 23, 2008. Summer camps were also held and participated in by children from different sectors. National issues that affect children and their families like low wages and landlessness were discussed in summer camp workshops. 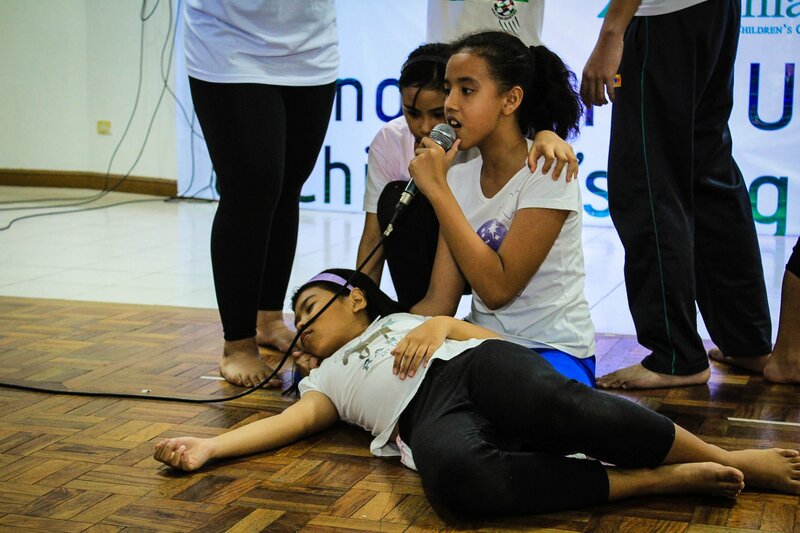 It has also become a venue where children can hone their skills in theater arts, writing and visual arts. Melissa San Miguel of Ibon Foundation, a former Salinlahi officer-in-charge, said Salinlahi did not waver in fighting for children’s rights for the past 32 years. It has led campaigns and formed alliances and formations to ensure that children’s voices are heard. 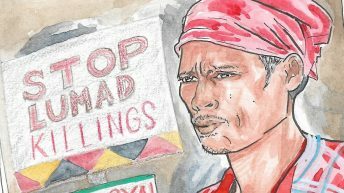 Salinlahi led campaigns on issues affecting children such as prostituted children, child labor and violence against women and children, attacks on Lumad schools, the meager budget on public education and other neoliberal policies such as privatization of public health. The group also took a stand on national issues such as the Visiting Forces Agreement (VFA), the election fraud in 2004 under President Gloria Macapagal Arroyo, the Disbursement Acceleration Program under President Benigno AquinoJr. among others. 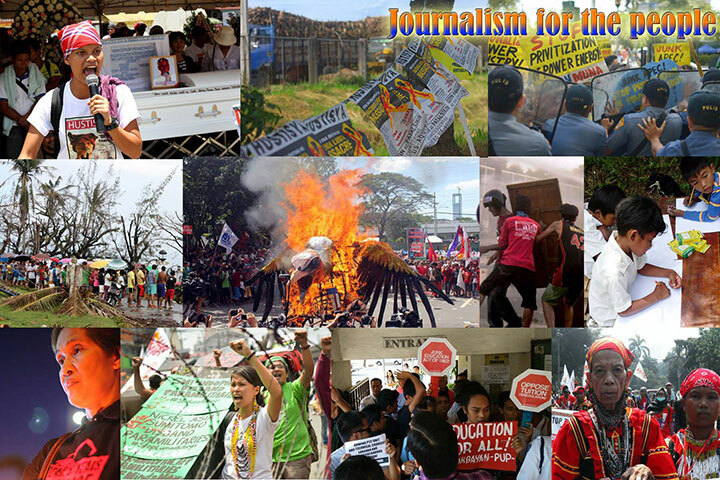 All these campaigns were participated by children, said former Salinlahi chairperson Libertad Dipon. Many children who have been part of Salinlahi are now part of the national democratic movement – standing up not only for people’ rights but children’s rights too. It was the result of years of lectures and workshops on what is really happening in society, said Dipon. 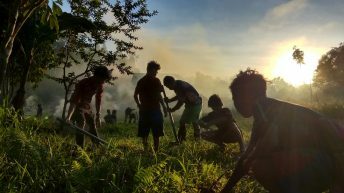 This was true for Nadja De Vera, former member of the Salinlahi Children’s Collective, a daughter of activists and now secretary general of the Unyon ng mga Manggagawa sa Agrikultura (UMA). In her speech, De Vera recalled the first time she spoke to a wide audience, not in school but in a rally on May 1, 1998 at Liwasang Bonifacio. “It was not about how to get good grades or dedicating my speech for my family but about the condition of children of the urban poor and workers. And how children like me, who was 13 years old then, were being affected by state violence,” she said. 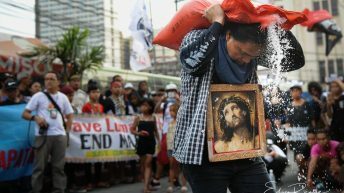 Geming Alonzo, executive director of Center for Lumad Advocacy and Services, Inc., also a former Salinlahi member said it was her titos and titas (uncles and aunties) in Salinlahi who made her understand the true condition of Filipino children. “It is through them that I learned about the real condition of society and why we should change it,” she said adding that they also made her understand that children can do something and can contribute to society. It is also through Salinlahi that she came to realize the true meaning of it. “We are the next generation that will continue what you have started,” De Vera said. And like them, they also wanted their children to understand the society where they live and to act for what is right when needed.